I like writing, but I’ve spent much of my life writing about things that don’t particularly interest me. Finally, as I neared the age of 60, I decided to change that. I wanted to write about things that interested me. What really interests me is beauty. So I’ve focused this blog on beautiful things. I could be writing about a formally beautiful object in a museum. But it could also be something sitting quietly on a shelf. Or it could be just a fleeting view that’s caught my eye, or a momentary splash of colour-on-colour at the turn of the road. Or it could be a piece of music I’ve just heard. Or a piece of poetry. Or food. And I’m sure I’ve missed things. But I’ll also write about interesting things that I hear or read about. Isn’t there a beauty about things pleasing to the mind? I started just writing, but my wife quickly persuaded me to include photos. I tried it and liked it. So my posts are now a mix of words and pictures, most of which I find on the internet. When I first started this blog, my wife and I lived in Beijing where I was head of the regional office of the UN Agency I worked for. So at the beginning I wrote a lot about things Chinese. Then we moved to Bangkok, where again I headed up my Agency’s regional office. So for a period I wrote about Thailand and South-East Asia more generally. But we had lived in Austria for many years before moving to China, and anyway we both come from Europe – my wife is Italian while I’m half English, half French – so I often wrote about things European. Now that I’m retired and we have come back to Europe I will be writing a lot more about the Old Continent, interspersed with posts about places we have visited. What else? We have two grown children, who had already left the nest when we moved to China, but they still figure from time to time in my posts. I’ll let my readers figure out more about me from reading what I’ve written. As readers will discover, I really like trees. 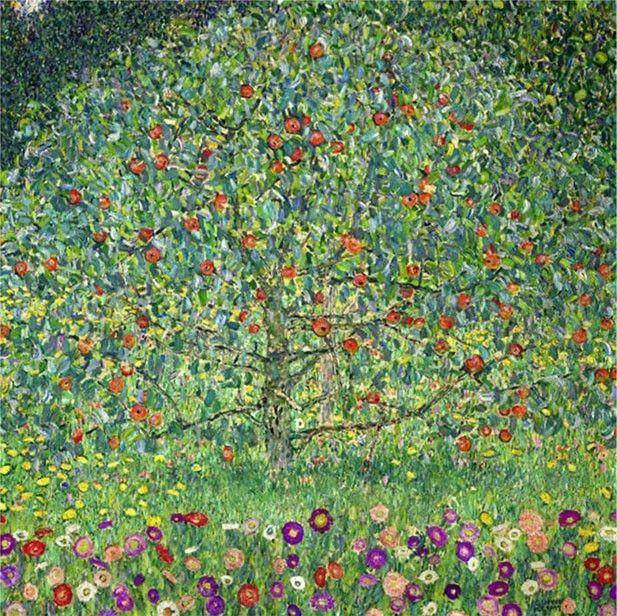 So I chose a tree – an apple tree, painted by the Austrian painter Gustav Klimt – as my gravatar. And I chose Abellio as my name because he is the Celtic God of the apple tree. I just read through the majority of your posts so far, and I’m looking forward to reading more of them! This is a fantastic idea for a blog. From your posts, I gather you’ve lived in Beijing for a while? That’s my hometown (of sorts)! Hope you’ve enjoyed your time there 😀 Looking forward to reading more from you. Thanks for your comments! Yes, my wife and I have lived in Beijing for some three years now. I hope you like whatever I come up with next! The theme of the project is “discover”. May I use this picture for my Turkish Airlines Project? If so, I’d like to give credit by mentioning your name/your homepage. I actually borrowed this photo myself. At the bottom of the post, you will see a list of photo citations. There, you will see the link where I got the photo from. Try to get permission there. Nice post! i like your style of writing, expecting for more writings from you. Thanks very much for your illuminating website. Your Dream Journey notes for Italy have made me revise my travel plans! 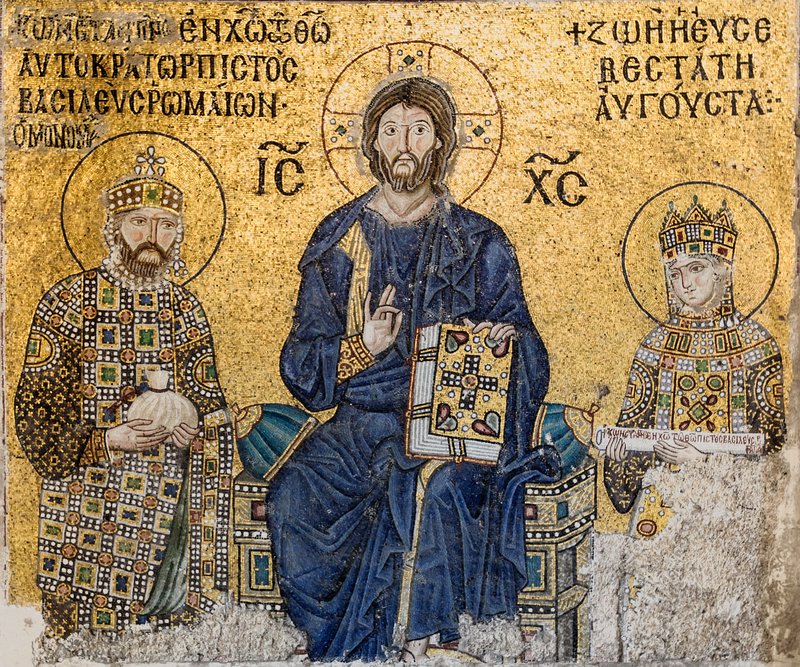 I knew about Ravenna, but the Early Christian art history course I took occurred so many years ago I forgot Otranto. Your writing is a delight. I intend to read the entire site. I am a long time lurker on your blog. I love your photos and posts. I am wondering if I can use one of your photos for a guidebook. It’s called The Hunt: Shanghai. It’s part of The Hunt series of guides (www.thehuntguides.com). The photo I would like to use it of the Power Station of Art. My email is sophie[dot]friedman[at]gmail[dot]com. Please write and tell me if this is OK. We will credit it to you. I’m glad you lurk around my blog, please keep lurking! I’ll answer your request off-line. Just read your post from 2013 about Xu Zhimo. Very lovely. I hope he was loved by some in Cambridge and not an invisible (foreign, nonwhite) man. I have to admit, my mind slides in a overlay of assumptions about how it was for him. Partly its that beautiful picture that you thoughtfully included. Anyway, you have started your blog to write about what you care about. I am 67 and starting singing and composing and writing poetry for songs. Same transition as yours, basically. I hope your reborn life is going well! Thank you for these wonderful comments! My reborn life is going well. Actually, it really starts in eight months’ time, when I finally retire (https://theheartthrills.wordpress.com/2016/01/02/retirement-here-we-come/). Finally, I will be able to slough off that deadening 9-to-5 routine, 5 days a week, 48 weeks a year, the life of a human metronome! I hope your music and poetry come together sweetly, as it did centuries ago with the Welsh bards. I very much enjoyed your post on the cemeteries at Cerny-en-Laonnais and would like to share one of the photos on my blog (behindtheirlines.blogspot.com). I’d be grateful if you would grant me permission (and I will credit you and your blog for the photo). Absolutely no problem – just make sure that it’s one of my (or my counsin’s) photos. At the end of the post, i give the citations for the photos. By the way, I’m really glad I got this introduction to your blog! I have a thing about WWI poetry, so it’s great to have another source of these poems. Finally, let me do some “marketing” 🙂 I have written three other posts on WWI, “Le Cousin Jean” (https://theheartthrills.wordpress.com/2017/11/11/le-cousin-jean/), “Remembering the “Other Ranks”” (https://theheartthrills.wordpress.com/2015/11/11/remembering-the-other-ranks/), and “The Western Front” (https://theheartthrills.wordpress.com/2012/08/03/the-western-front/). Two of them cite poems (well known ones, I have to say). I’ll post again here when I’ve completed my blog post and credited your contributions! Thanks again for your generous willingness to share your work — it’s sincerely appreciated. And if you wish to revise any of the credits, please let me know! That’s great! Glad I could be of use.